Democratic lawmakers have stepped in to offer sacked former deputy FBI director Andrew McCabe a job so he can collect his pension. "I could use a good two-day report on the biggest crime families in Washington, D.C.," Pocan tweeted. He later said that an earnest offer was on the table for McCabe to "work on election security." "He deserves the full retirement that he has been promised, not to have it taken away as a result of the President's political games," Pocan added. Alleging Republican gerrymandering to secure votes in Pennsylvania, he added: "Our electoral systems are under attack. We must take serious steps to not only secure our elections from foreign actors like Russia, but also ensure that the American people have faith that their votes matter." McCabe was sacked by Attorney General Jeff Sessions Friday, after being accused by President Donald Trump for months of allowing pro-liberal bias to contaminate the the FBI's work. He had played a key role in the FBI's investigation into Hillary Clinton's use of her private email server as secretary of state, and the probe into allegations of collusion between Trump aides and Russia. The sacking came two days before McCabe's 50th birthday, when he was expected to retire with full pension benefits. 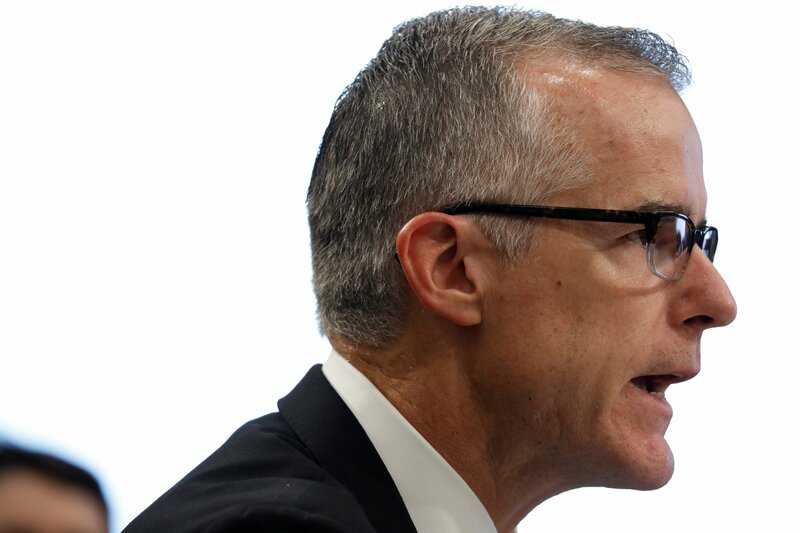 A justice department internal watchdog report found that McCabe had violated rules by giving FBI employees authorisation to speak to a Wall Street Journal reporter about allegations the agency’s 2016 investigation into the Clinton Foundation has been deliberately stalled. McCabe has denied allegations of wrongdoing. Trump hailed the sacking as a "great day for democracy" in a tweet late Friday. Massachusetts Representative Seth Moulton also stepped in with a job offer for McCabe. He tweeted he was "happy to consider" offering McCabe a job, but did not elaborate on the employment being offered. "The Sixth District of MA would benefit from the wisdom and talent of such an experienced public servant," Moulton tweeted.